All In Diary is a unique resource that can help you meet your objectives in an effective manner by supporting your staff and partners to have ready access to humanitarian good practice and up-to-date information and resources. Together we can support the learning and development of all your staff and partners. KEEP IT SIMPLE: Buy directly online in English, Arabic, French and Spanish: no licence agreement required but volume discounts available; recommended for up to 500 copies. Example: International Rescue Committee bought 200 copies to disseminate at training courses in Africa in 2016. LICENCE TO PRINT AND BRAND: Buy a licence for your organisation to print e.g. up to 1,000 copies, with your logo added to cover pages; recommended for rapid distribution during emergencies. Example: Save the Children (Nepal earthquakes 2015 and Typhoon Yolanda 2014) and IOM (Typhoon Yolanda in 2014) bought licences to print and distribute copies to support their response and build local capacity. LICENCE TO USE YOUR FAVOURITE PAGES: Buy a licence for selected All In Diary pages to adapt or integrate into your own documents; recommended as an effective way to produce a quality internal resource. 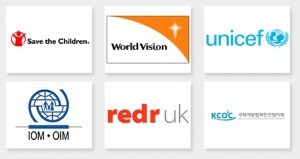 Example: World Vision International included key All In Diary information pages in their Pocket Guide for Humanitarian Workers – an internal document for field workers in 2012. DOWNLOAD AND SAVE PAPER: Buy a licence for a branded pdf of All In Diary information pages (your logo included) to share on your intranet to support your staff and partners; recommended as on-going support to staff and partners. Example: Medair have recently licensed this option, in addition to buying 550 branded, printed copies as part of their induction and ongoing support tools for Medair’s field staff. Please contact us if you require something different as we would be delighted to talk to you about tailoring the use of All In Diary to support your organisation most effectively.